The big chunk this time is Verve's The Sonet Blues Story, under "in series." These actually came out in two waves. By the time I got around to the first one, the second appeared. Deciding to combine them led to further delays. And now that I finally have them all together, they chew up a third of the column. Series do that. Another one you'll notice is Universal's The Definitive Collection series -- single-disc best-ofs, not to be confused with WEA's identically named two-disc sets. You'll find five below, and probably that many more next time, as well as some of their 2-CD Gold titles. I'll say more about them as a series then, but one hint is that the Tom T. Hall below repackages their 2001 comp, when the title du jour was The Ultimate Collection. I used to think "ultimate" meant final, but when the demand for new recycled product is endless, nothing is final. One of the oddities of modern capitalism is that even though megacorporations relentlessly narrow their new product offerings to fit well-honed marketing propositions, in their mad quest to own everything, they often find themselves with properties that aren't all that marketable. Sometimes even do right by them. Verve is one of the most illustrious brandnames in jazz history. It was originally the consolidation of Norman Granz's labels, including Norgran and Clef, from the mid-'40s until he sold out to MGM in 1961. Today it's owned by Universal Music Group -- the largest of the so-called major labels -- which in turn is owned by the multimedia conglomerate Universal Vivendi. Verve's new jazz releases have dwindled down to less than ten per year -- not counting the pop jazz which mostly appears on their GRP label or the stylistically scattered Verve Forecast releases. Mostly, they work their back catalog, which expanded to include Impulse!, EmArcy, Commodore, Blue Thumb, and others -- now Sonet. Sonet was a Swedish label, founded in 1956, sold to Polygram in 1991. 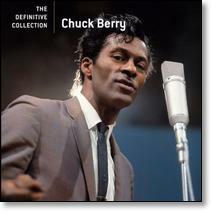 Blues and jazz became increasingly popular in Europe after WWII. American musicians frequently visited, with some moving in, given better business prospects and less racial discrimination. Around 1960, there was a concerted movement in the US to search out old blues musicians -- Mississippi John Hurt and Skip James were two who hadn't recorded in thirty years but worked steady in the '60s. That movement had largely played out by the end of the '60s -- Hurt died in '66 and James in '69. But in 1971 Sonet hired Sam Charters to produce blues albums -- specifically, a "legacy of the blues" series that included a wide range of local styles, often by relatively little known performers. 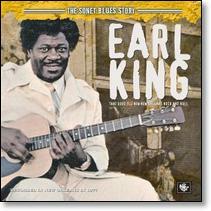 In some cases, like Earl King, they recapitulate a poorly documented career. In a couple of cases, like J.D. Short, Charters released earlier tapes. Otis Rush was a rare case of a guy caught on his way up. The result is an archive which is neither classic nor modern. Rather, it fills in important gaps in the record. And Verve has done a nice job of releasing them, with new artwork and improved documentation. In an infinite universe, all the music you'll ever need already exists somewhere. We find more each month: definitive collections (Chuck Berry, Tom T. Hall, Etta James, Jerry Lee Lewis, Muddy Waters), Swedish blues (Juke Boy Bonner, Snooks Eaglin, Mighty Joe Young), campesino songsters (Los Jardineros, Saborit), rude boys (John Holt, Delroy Wilson), and more great white hope than you can stand (Barry Manilow); many more (51 records).